Alone, unafraid, the glow of CRTs and a prayer you won’t be seen. A fighter that wasn’t a fighter. A black project that was in fact black. The F-117A was all of this. The arrowhead shaped aircraft was the tip of the spear. One man alone in the darkest hours before dawn only armed with two 2000 pound laser guided bombs and the technology not to be seen by RADAR. The ‘117 made Stealth from black to light. It became the face of the first Gulf War. 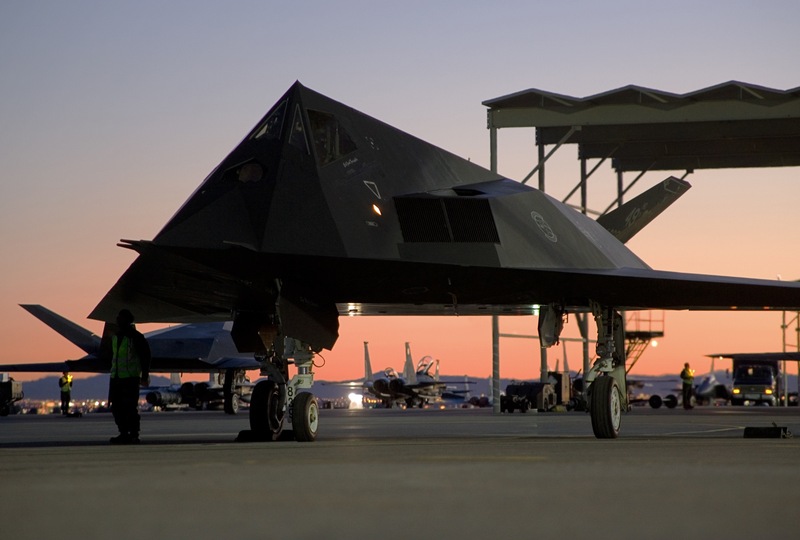 59 F-117As were built entirely by hand. Each a living, breathing machine, had its own personality. No one would call the stinkbug pretty. But everyone is beautiful when you turn out the lights. It took a lot to fly the aircraft physically, mentally, and emotionally. Three men died trying to learn the aircraft: spatial disorientation at night the cause. Your first flight was your first solo, and at night. And when you got your Bandit call sign you couldn’t tell anyone. Stealth now is a commonplace word. November 8, 1988 warfare changed, a new shape had appeared. That shape has returned home to Tonopah Range where it all began, retired. Or is it? By David M. Vanderhoof, The Airplane Geeks Podcast Co-Host & Plane Crazy Down Under’s Historian in Residence. I remember holidaying in a beech house in Cape Cod back in the 90’s, from where you could see aircraft over the water taking off and landing at the nearby air base. Most seemed to be F-16’s, which you could always hear clearly, even at that distance. They were loud enough to be difficult to ignore sometimes, with only open water between you and them. One evening I happened to see a couple of shapes which I initially took for birds, until I realised they were too far away, too large and too fast moving. 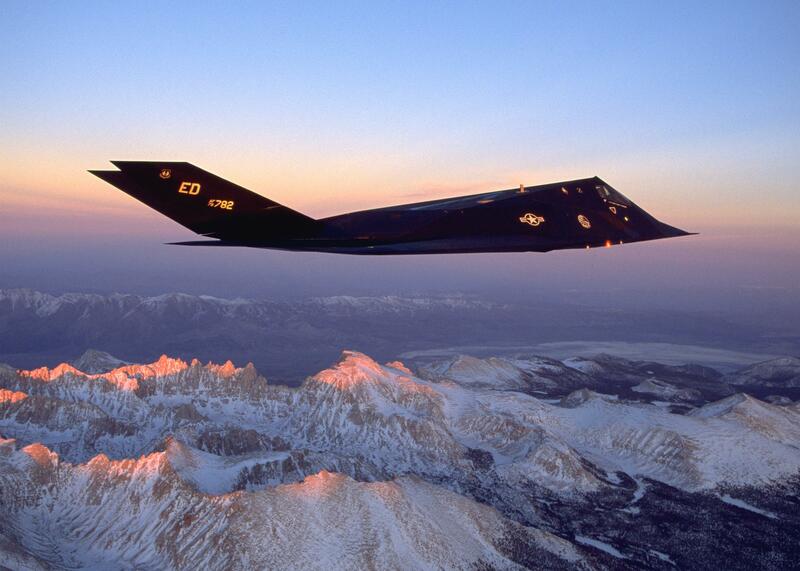 A pair of F-117A’s coming in to land, silent as the grave. Unlike the F-22 and F-35, which are hard to see on radar but easy enough to detect via other means, the F-117A’s designers had also paid attention to minimising the aircraft’s signature in the infra-red and even the sonic regimes too.